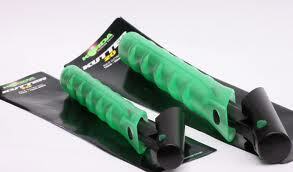 There are three Kutters in the range to suit 16mm, 20mm and 25mm baits. 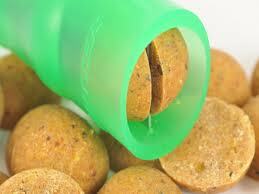 To use them, simply depress the button, remove the plunger and drop in a few baits. Then use the plunger to force the baits down the Kutter, whereupon the inner blade slices them perfectly – and it’s practically effort-free! 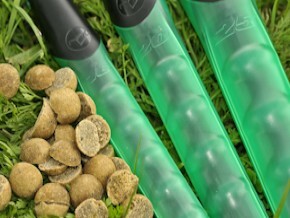 The resulting halved baits are superb in spod mixes and won’t roll off the spot at all, due to their shape – which is a bonus when targeting sloping gravel humps, marginal slopes or moving water.